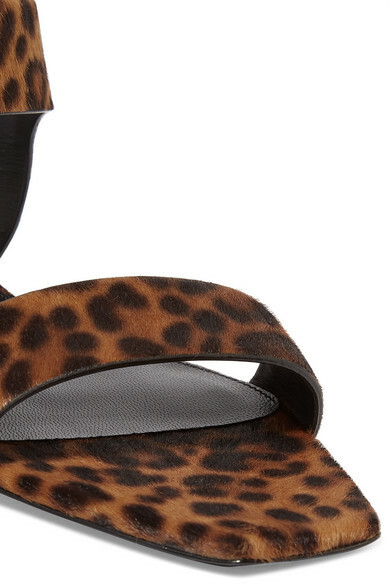 Leopard print is one of those rare patterns that doubles as a neutral - it looks great with almost any other color and complements different skin tones. 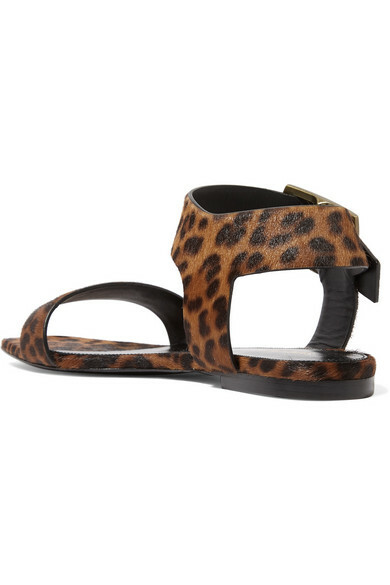 Saint Laurent's 'Oak' sandals have been made in Italy from tactile calf hair and have '90s-inspired square toes. We have a high-heeled version, too if you prefer a little lift.